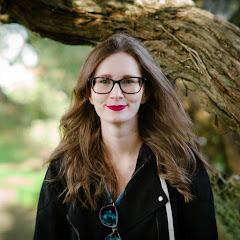 A few weeks ago I was one of the lucky winners of a giveaway hosted by Michaela at I Sold The World for a bottle of Harvey Prince Ageless perfume! I was really excited to win as I'd been seeing Harvey Prince around a lot lately. I've had the bottle for a few weeks now and I thought I'd share my thoughts about it with you guys. I also received a sample of Eau Flirt from them as well and I'll tell you guys about that too. "It began with a rebellious idea: boutique-quality scents should not be overwhelming, overpriced, and filled with toxic chemicals. Then came the inspiration: our mother, who loves honest products that feel and smell great. One Mother's Day, we crafted a scent that captured her effortless and radiant aura. The result: Ageless, the first of our signature fragrances to take on the industry's usual cosmetics-counter fare. We take great pride in using only the finest ingredients for each note in every scent, with no toxic chemicals still found in many commonly used perfumes. We draw on the expertise of leading dermatologists, doctors, scientists and scent experts to create fragrances with a purpose, each with its own inspired scent and story. Find your favorite." That alone makes me really admire the company because they care about the product they are putting out and what better inspiration than their own mom to get them started! Now as for Ageless I quite like the scent its very fresh and clean. The notes mix together very well and they are blended so well that you wouldn't guess that some of them are in it. Ageless might just also double as a secret weapon for women because it is said to make you feel and smell 8-12 years younger! Now I can't really comment on that because if I felt even 8 years younger I wouldn't be legal yet ;) but I will say it does seem to give me a little extra pep in my step and I quite enjoy the fragrance overall. Next up we have Eau Flirt which was the sample I received along with Ageless. Now upon reading the description I didn't think Eau Flirt would be for me because I despise anything that has Pumpkin in it. My dislike for Pumpkin aside I still gave it a try and I was pleasantly surprised by how good it smelled. Nothing at all like the dreadful Pumpkin I was thinking it would its quite clean and musky at the same time and to me smells more like Lavender and Cinnamon than anything. Now this one is supposed to help attract men because of the pumpkin pie and lavender notes, which have been shown to evoke a more passionate response in men than any other smell. Again I cant really comment on this when I asked my boyfriend if he liked it he said "It's nice" and that was about all he had to say. In the future I will definitely try out more fragrances from Harvey Prince, they have a lot of interesting creations. I also really admire their story and what goes into the creations of the perfumes themselves. 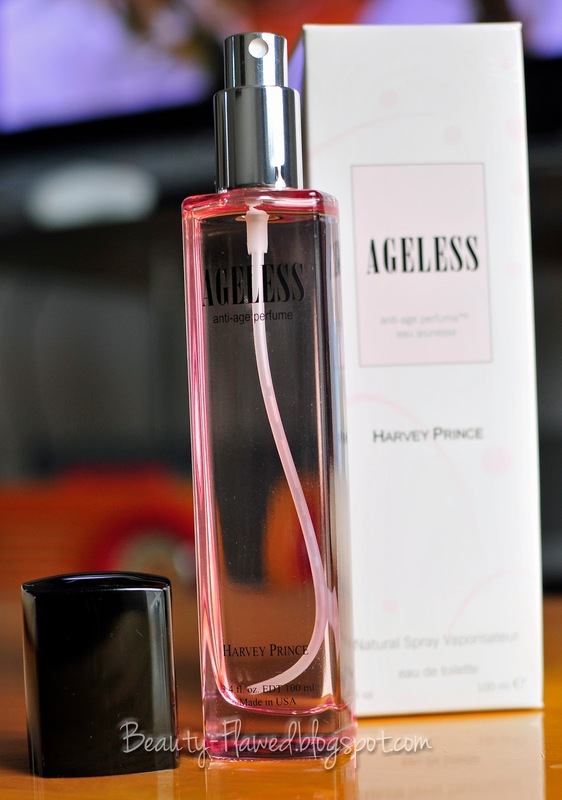 Full size bottles of Ageless and Eau Flirt (50 ml) retail for $55.00 from the Harvey Prince website. They also have many sample sizes and sets available so you can try all the fragrances! You can also keep up to date with them on Twitter and Facebook. Have you tried any Harvey Prince Fragrances? This sounds great! Congrats on winning the giveaway! OH EM GEE. Isn't Ageless so yummy smelling? I love it! I dunno about the age thing too, because then I wouldn't be legal either if I felt 8-10 years younger. Actually, if I FELT that young, I would probably feel like I was 4 and not cognizant. It indeed is :) Haha thats too funny! Sounds great. Must try now. I have awarded you the Versatile Blogger Award. You can check the award on my blog here- http://myminibag.blogspot.com (which will be posted on May 10 at 10am). They are I still haven't picked up any other scent but I'm def going to when I get some money. I've not smelled the one you won, but I've tried the Flirt one and it was a bit too strong. found u through blog hop. Awesome thanks for stopping by. I'm quite surprised by Eau Flirt I do like the way it smells but it is so not something I would have thought I would like!